There are eight dynamic courses within 30 minutes of Cadillac. While each offers a unique golfing experience, they share the special beauty that is unique to this area, feature well-cared for courses and friendly, welcoming service. 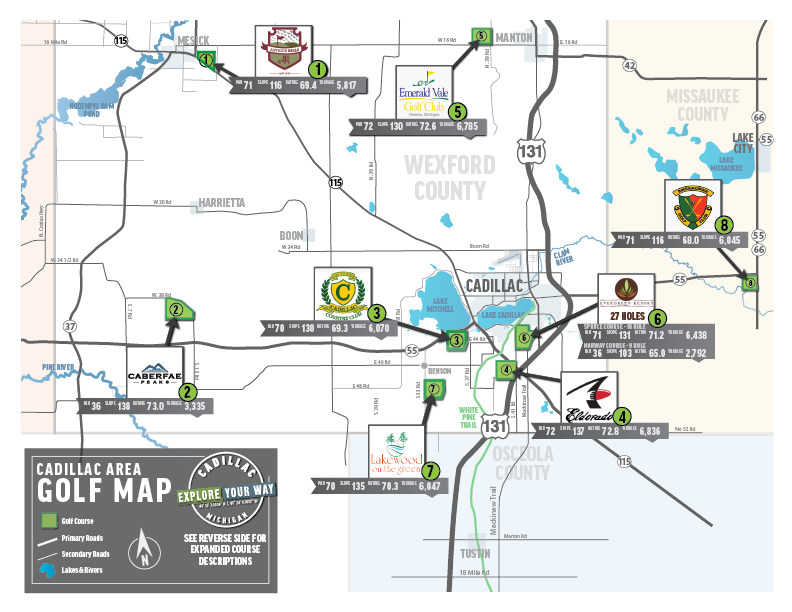 Each course is easily accessible from area freeways, and we’ve structured the weekend to be the “first off” each day on the area’s championship courses. This brochure will give you a comprehensive overview of a five-day golf vacation in the greater Cadillac Area.  As you make your way into Cadillac for your five-day weekend or mid-week golf adventure, we are going to assume you spend your morning driving to the area. After you grab a quick bite at any one of our local establishments, then make your afternoon tee-time, we recommend you begin at the premier course in the region. 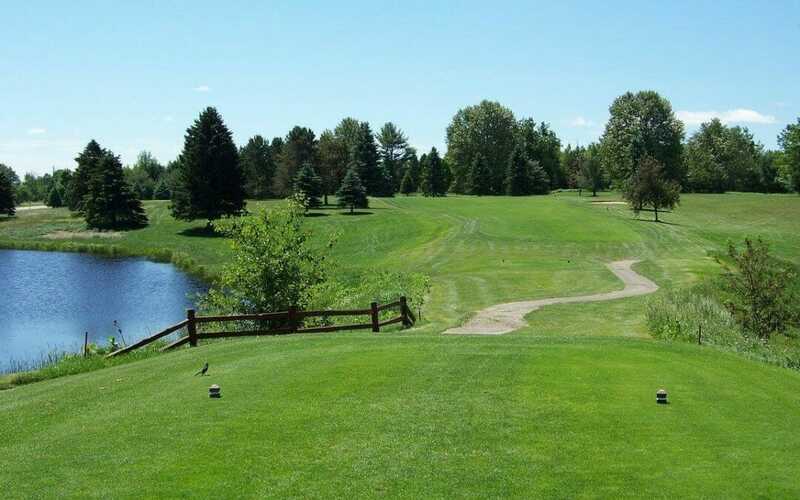 The 18-hole Eldorado Golf Course, just off US-131 and M-115 is a great place to start. 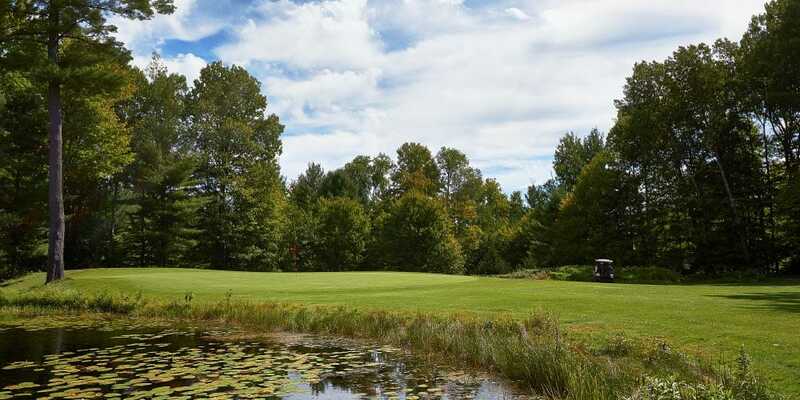 Eldorado Golf Course features towering trees leading to bentgrass fairways and greens, flowering wetlands and panoramic views, all on a meticulously maintained course. With unparalleled service, it adds up to a 4-star Golf Digest rating, and 4 ½-star rating from guests. Five tee boxes mean you can play to the challenge level you choose from a 5,000-yard round to a 7,000-yard round. This is the ideal place where you can enjoy dinner the first night (or final night, depending on play order – see prior page for “Other ways to play” the courses in the area) at the Cadillac Grill Restaurant with a relaxing view of the golf course and a picturesque sunset over the rolling hills in the distance. As you make your way out for your first full day of golfing in Cadillac, venture north, to the Antioch Hills Golf Club. 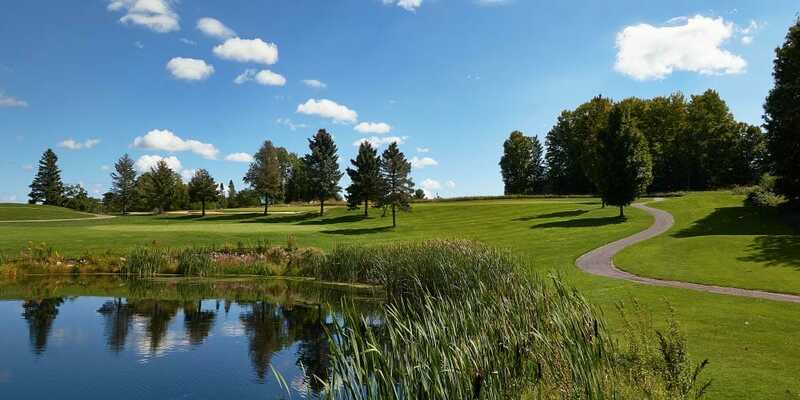 Situated amongst the gently rolling hills of Antioch township, Antioch Hills Golf Club offers a relaxing get-away to enjoy 9 or 18 hole rounds of golf. Come experience the breathtaking scenery and meticulously maintained fairways and greens that our course has to offer. The serene atmosphere allows golfers to enjoy playing in a natural setting. The course is challenging, yet diverse enough for every skill level and our friendly staff are always available to offer tips and insight. 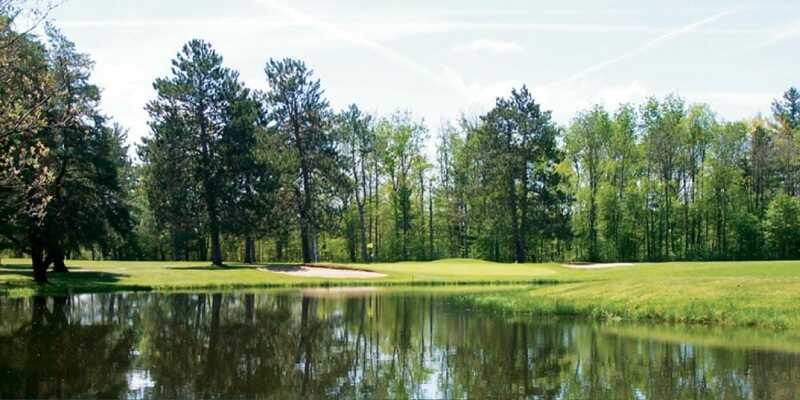 From Antioch Hills, venture South back towards Cadillac to Lakewood on the Green where you’ll spend your afternoon golfing among the tall pines and around the shimmering waters of their 15-acre lake. 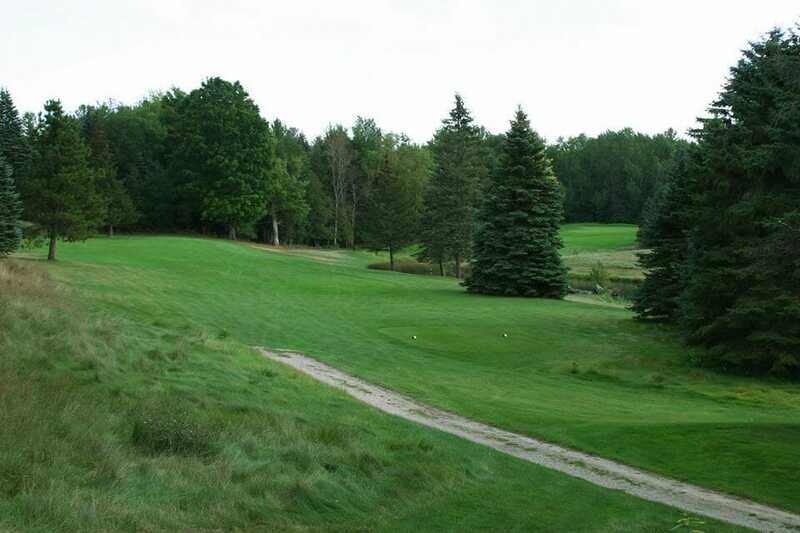 Gently rolling and winding fairways along with strategic bunkers on what’s considered one of Michigan’s toughest and prettiest courses-with the best value for green’s fees-will make your afternoon a fun yet challenging experience. “Our golfers love the solitude of the back nine that winds around the lake and through the woods, and the front nine is challenging yet real playable,” says Don Smith, Lakewood’s Golf Pro and General Manager. New owners have added upgrades, improvements and new staff over the last few years, improving the entire golfing experience. This includes the remodeled full-service restaurant and clubhouse with patio overlooking the lake. It’s a favorite for Friday fish frys and smoked ribs on Saturday. Book your trip early and make sure you are first-off the tee at the Championship Spruce Course at Evergreen Resort, voted “one of the best places to play” by Golf Digest and here’s part of the reason why. 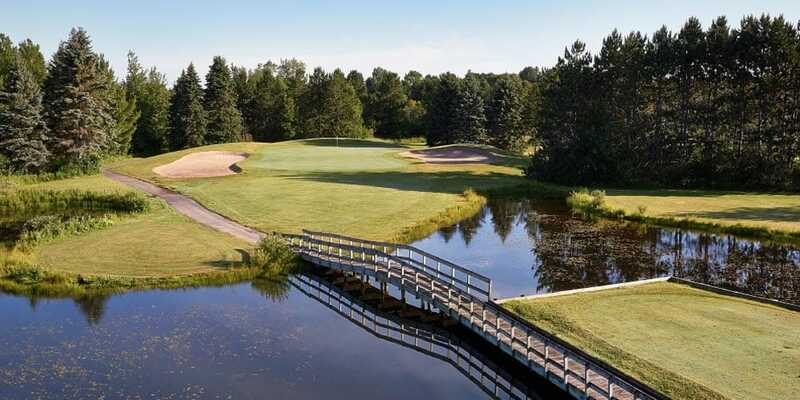 The 18-hole Spruce Golf Course is located on a hillside overlooking Lake Cadillac and winds through a scenic pine forest with gently rolling hills. It’s a good fit for all experience levels with small greens and lots of front-to-back slope. The 9-hole Norway Course is a fave with casual and beginner golfers. Topping out at just under 2,800 yards from the back tees, Norway’s 9 holes can be played in under 1 hour and 45 minutes, even at a leisurely pace. Here you can also call upon the resident golf pros who will help you sharpen your skills (rental clubs are also available). Evergreen is also a 4-season resort with 117 guest rooms, indoor pool, whirlpool and sauna and two restaurants. 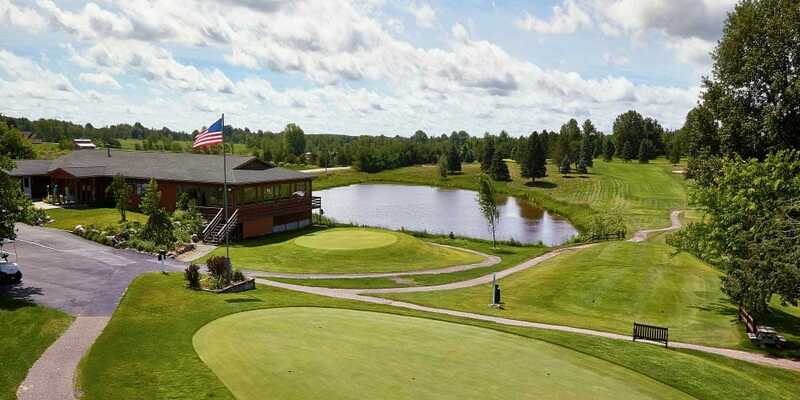 As you make your way east to the Missaukee Golf Club, you will find an 18-hole golf course open to the public, that is in a lovely setting with its gently-rolling terrain, five ponds, and small creek that passes through the back nine. The course is ‘user-friendly’, well-maintained, and offers 5 sets of tees including Junior tees, measuring 6045 yards from the back tees and 4776 yards from the red tees. One of the greatest features is that Juniors, 16 and under, PLAY FREE all season. This is a great course to wrap up on day 3. For starters, this course is just so much fun to play, it makes you hit several different types of shots depending on the hole. The greens, fairways, and first cut are all perfectly manicured. The course has a great layout and has several imaginative holes. Designed by Bruce Matthews III, Emerald Vale is a par-72, 18-hole course with beautiful views and over 120 feet of elevation changes, bentgrass tees, fairways, greens, and practice area and target greens, and just over 6,700 yards from the tips. Emerald Vale also has an old-world ambiance that truly provides an escape for the normal daily grind. Wrap up your 18 at their onsite restaurant, or grab a bite in Downtown Cadillac before venturing over to the Country Club. 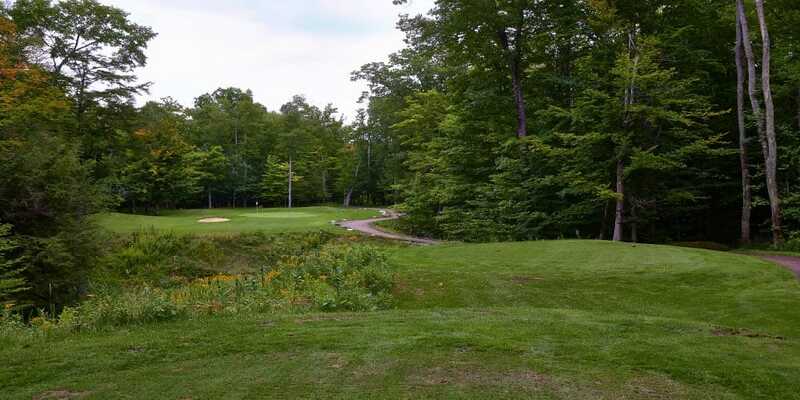 The Caberfae Peaks 9-hole gem was designed by Harry Bowers and is carved into the natural landscape of the Manistee National Forest at the base of the Caberfae ski runs. It features 11 bridges that span wetlands, streams and ravines, bentgrass greens, tees and fairways, and greens that are true, consistent and yet soft enough to hold approach shots. Their MacKenzie Lodge offers great Stay and Play packages that include an outdoor heated pool, hot tub & firepit. Be sure to check back with Caberfae during the winter months as they have 34 ski runs and a challenging Backcountry terrain area. We hope you enjoy your long weekend or mid-week golf play in the Cadillac Area. For additional details about the courses, visit their individual websites listed and be sure to share your golf experience with us on our tourism blog: ExploreCadillac.org. Request the all new Cadillac Area Travel Guide and we will ship it to your door.